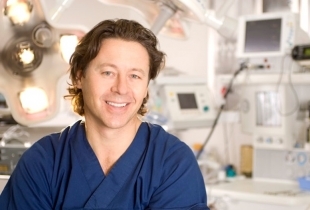 Dr Stuart Geldenhuys is a board certified, Plastic and Reconstructive Surgeon, dedicated to the art and science of aesthetic cosmetic surgery. His private practice is based at the prestigious Renaissance Body Science Institute where he has a special interest in breast and facial surgery – both surgical and non-surgical treatments. Safety, natural results and the use of scientifically proven techniques are priorities in his practice. Dr Geldenhuys, schooled at Hilton College, completed his undergraduate studies at the University of Cape Town in 1991 and subsequently enrolled in General and then Plastic Surgery at UCT. He was admitted to the College of Medicine as a Plastic and Reconstructive Surgeon in 2003. Dr Geldenhuys was appointed as consultant at Groote Schuur Hospital before taking up full time private practice. He is currently a part time consultant at Groote Schuur Hospital. He makes it a priority to keep abreast of current trends and advances in his field. Dr Geldenhuys regularly attends local and international conferences and courses ensuring ongoing medical education to be able to offer the most favorable results. © 2011 Renaissance Body Science Institute.